Bad luck for Marco Wittmann in the first race at the Red Bull Ring: for much of the race the BMW DTM driver appeared set to reach the podium in his BMW Driving Experience M4 DTM ,and was in third place almost until the finish, before a number of incidents on the circuit saw him cross the line in seventh position. The day had started well for Wittmann. The two-time DTM champion put in a strong performance in the morning’s second free practice session. Wittmann posted the fifth-fastest time in a qualifying session that had to be interrupted due to extremely difficult on-track conditions. He started the race in equally commanding fashion, battling through some thrilling duels with the other drivers to move into a podium position. However, the appearance of the safety car and the subsequent restart in the final phase put paid to his dreams of a podium finish. 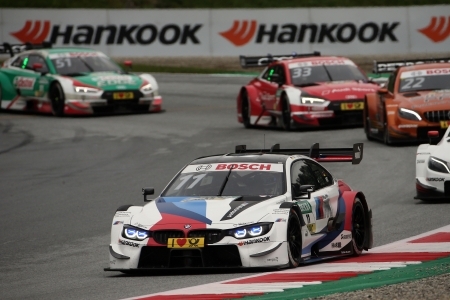 Marco Wittmann will have the chance to resume the hunt for points on Sunday. The qualifying session for race two begins at 10:35 and the race itself is scheduled to start at the usual time of 13:30.